Often, the stories of women take time to come forth because of the silence imposed upon us. 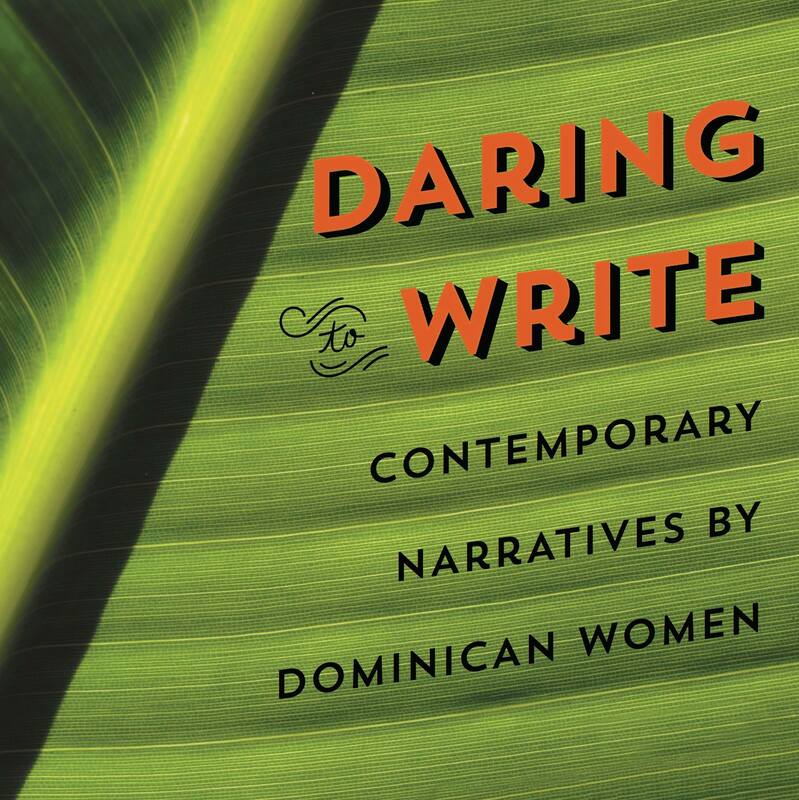 Daring to Write, an anthology of contemporary narratives by Dominican women, offers a collection of strong brave voices brought together by Erika M. Martínez. The anthology’s origins and its journey towards publication connect to Martínez’s personal story. In the late 60s Martínez’s parents came to the United States. They met in New York and married quickly in 1972 to avoid problems with immigration. The following year, Martínez was born in New Jersey. Martínez felt the desire to find more authors who wrote about the Dominican experience. She had the opportunity to see Junot Díaz speak in Chicago. Díaz talked to her about Voices of Our Nation Arts Foundation (VONA), an organization that he co-founded. VONA’s mission is to develop emerging writers through programs and workshops taught by established writers of color. A couple of years later Martínez attended their Voices Summer Writing Workshop in San Francisco and fell in love with the Bay Area. “I took classes with VONA co-founder Elmaz Abinader, because I always knew I wanted to write a memoir. I wanted to write about my life,” she explains. 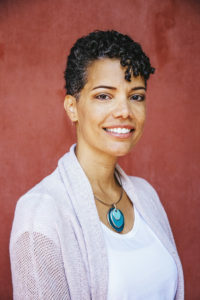 Abinader also taught creative writing at the Mills College MFA program, so Martínez and her husband moved from Chicago to the Bay Area, where she would begin her graduate studies. After earning her master’s, the idea of the anthology began to take shape. Martínez had read Julia Alvarez and fallen in love with her novel, In the Time of the Butterflies. She had also read Junot Díaz’s short story collection, Drown, which reminded her of her own childhood in New Jersey. The novels of Angie Cruz and Nelly Rosario inspired her as well. Esmeralda Santiago’s, When I Was a Puerto Rican was influential, but Martínez continued to seek out Dominican writers who could speak to her own experience. In 2007, she applied for a Fulbright grant to travel to the Dominican Republic. Her project was to find and compile writings by Dominican women. She worked in Santo Domingo from August of 2008 to August of 2009. After putting out a call for submissions in Spanish, she began to gather potential narratives for the anthology. Martínez and a committee of readers reviewed all the stories and made selections. The next stage involved working with authors to revise their pieces, seeking out a translator for the texts written in Spanish, and looking for a publisher. 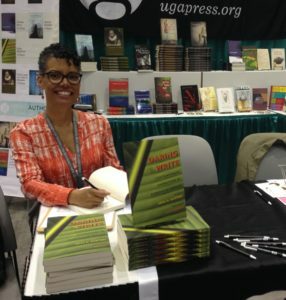 The publication process was long and full of disappointments, but finally the University of Georgia Press thought Daring to Write was a great complement to their list and agreed to release the book in the spring of 2016. The volume opens with a poignant introduction by Julia Alvarez, which is followed by a myriad of narratives that touch on nearly all aspects of a Dominican woman’s life. “A lot of the works touched on taboo subjects, hence the title Daring to Write,” Martínez notes. The stories address themes such as race and the color complex, mother-daughter or father-daughter relationships, as well as marriage, fidelity or infidelity. 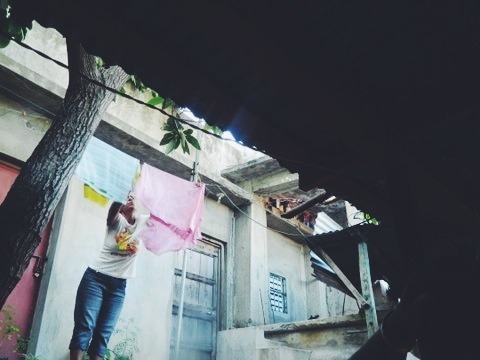 Because the book contains narratives by women living on the island as well as women living in the United States, themes of migration and cultural identity are also evident. Truly, this anthology is a work of art. The writing is rich, the subjects varied, unique, and powerful. La Galeria Magazine’s core staff read the anthology; they felt connected to all the stories included. As a woman-led publication, highlighting the strength and presence of Dominican women’s voices is of great importance to us. This book does all of that and more. In a literary world where women’s voices are often silenced, this book allows them to be heard. It also brings much needed representation to a talented group of women writers. Daring to Write is a rare treasure. Don’t miss it.